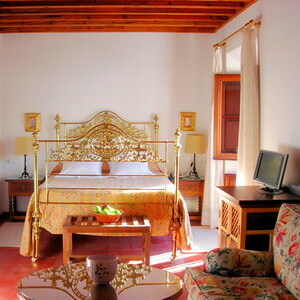 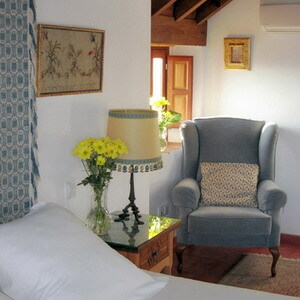 Our hotel is a restored house from the XVI century. 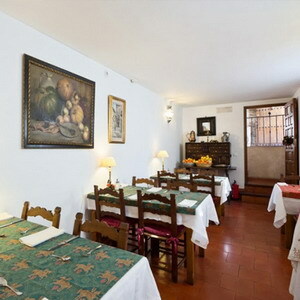 It is situated on the main street of the historical neighbourhood of the Albaizyn (Granada), five minutes walking distance from the city centre. 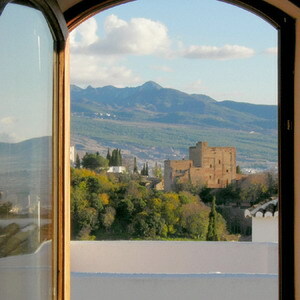 It is surrounded by gardens and different monuments such us the Monastery of Santa Isabel la Real, the palace of Dar-Al Horra and the San Miguel Bajo church. 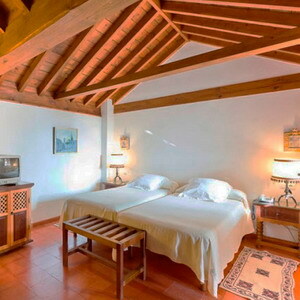 The hotel is also very near the beautiful views from San Nicolas, San Cristobal and la Lona. 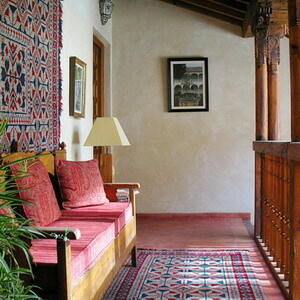 There is an enclosed parking lot for up to 5 cars (best to reserve in advance) and a bus stop near the hotel. 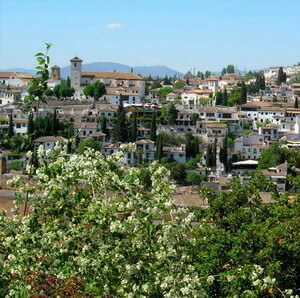 The bus goes to the city centre and to the Alhambra every 5-10 minutes. 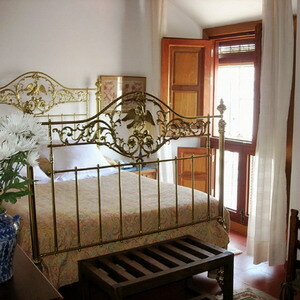 The building has 11 rooms distributed on 3 floors, a patio, a terrace, a sitting room and a breakfast room. 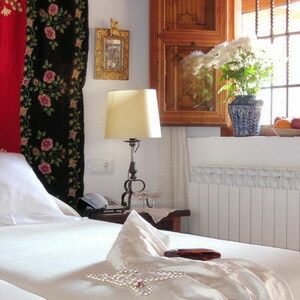 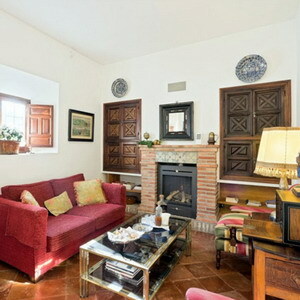 Most of the rooms are outward facing and have very nice views, while others overlook a typical Southern-Andalucian patio. 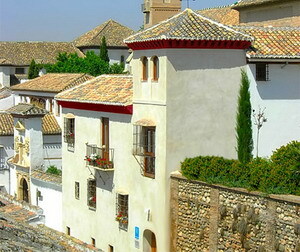 The Albaizyn is situated on a hill in front of the Alhambra. 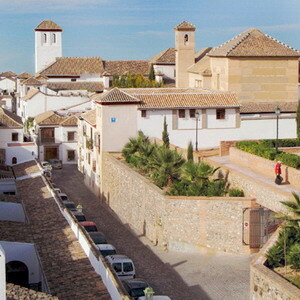 It is a big laberinth formed by narrow streets and white houses (they are called Carmenes). 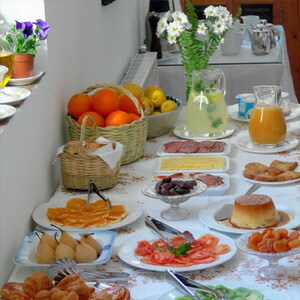 This neighborhood is full of life and traditions. 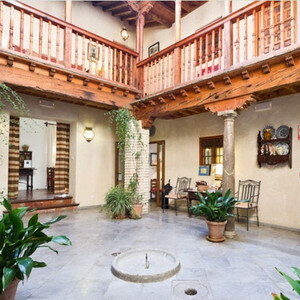 There is a street market in Plaza Larga every saturday, there you will find vegetables, flowers, clothes... it is a very authentic ambience. 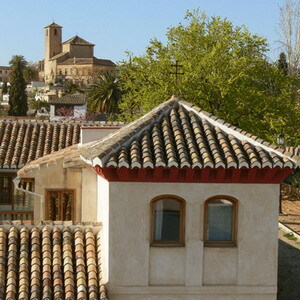 In such a little geographic space there are important Churches, monumental houses, superb gardens, shops, schools..